Our small blue planet – and everything on it – is destined to be fried to a crisp by an expanding sun some 5 billion years hence. Will anyone be around to observe the final sunset, or will society and civilization be snuffed out long before? 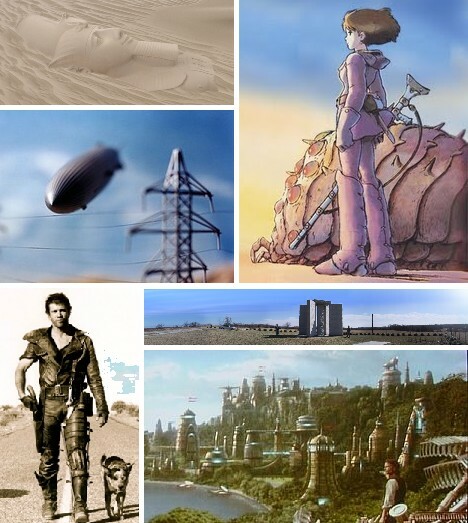 Here are 13 more visions of what a post-apocalyptic world might be like. From Australia it came, and things would never be the same. 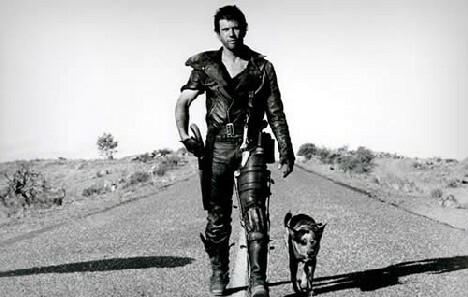 Mad Max, released in 1979, was the inspiration of many post-apocalyptic films to come. 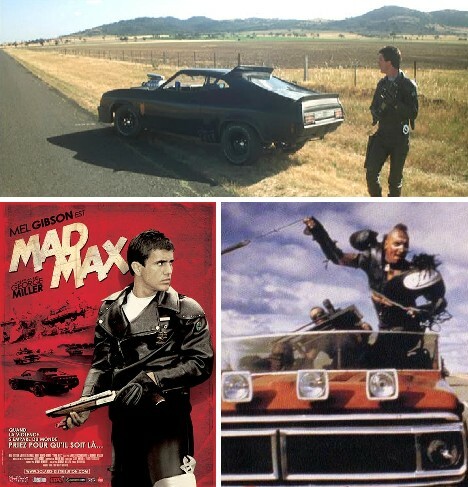 Besides Mel Gibson’s career, Mad Max spawned two sequels in the ’80s and one more (Mad Max 4: Fury Road) in the early planning stage. 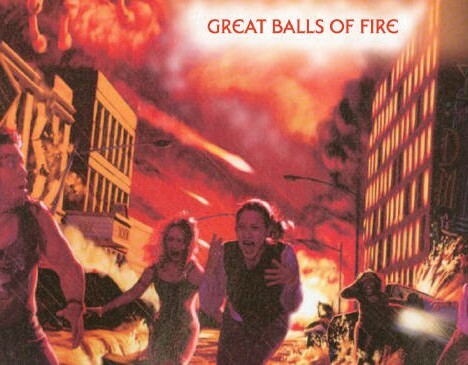 The original Max Max is hailed by many as the best of the bunch, depicting a dystopian future world spiraling into chaos as authority, industry and society all fall apart. 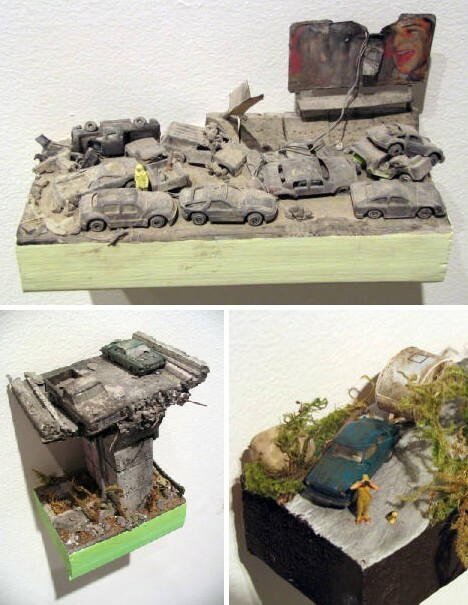 Jason Van Horne scavenges old, disused and discarded materials to create both apocalyptic and post-apocalyptic scenes in miniature. 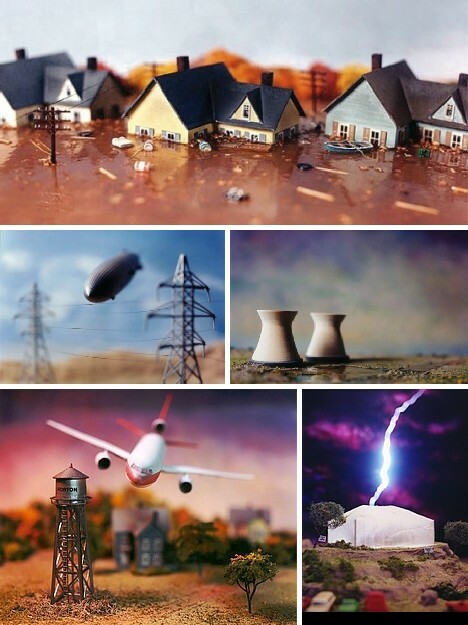 Though their size may be small, their impact is large – mainly due to Van Horne’s focus on realistic portrayals of a world on the edge of destruction. Van Horne’s paintings take advantage of the brighter colors available from his palette. Though more lively than his sculptures, Van Horne’s paintings nevertheless convey a sense of reality that is disturbing yet exciting. 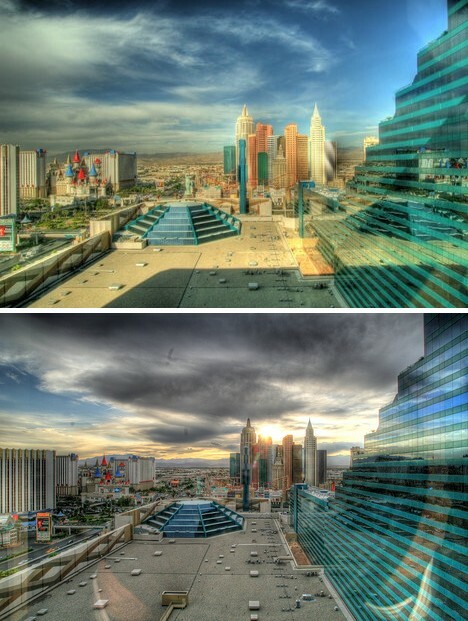 Shayan Sanyal gives us this unusual pair of HDR photographs – not paintings, photos – of the New York-New York Hotel & Casino viewed from the MGM Grand Hotel in Las Vegas, Nevada. Surreal to begin with, the artificial skyline by day and by dusk shifts between reality and fantasy the more one looks. H.G. Wells’ The Time Machine was not only one of the earliest science fiction novels (published 1895), but also one of the first speculations into humanity’s future that wasn’t all rosy and pretty. One of the book’s most chilling scenes was when, after retrieving his time machine and escaping the clutches of the degenerate Morlocks, the time traveler finds himself on a chilly, desolate beach in a far distant future where the only things living are monstrous crabs. The 2002 remake of The Time Machine featured a rarely seen alternative ending in which the time traveler, having caused the destruction of the Morlocks, briefly visits a future world in which the peaceful Eloi have built a utopian society. 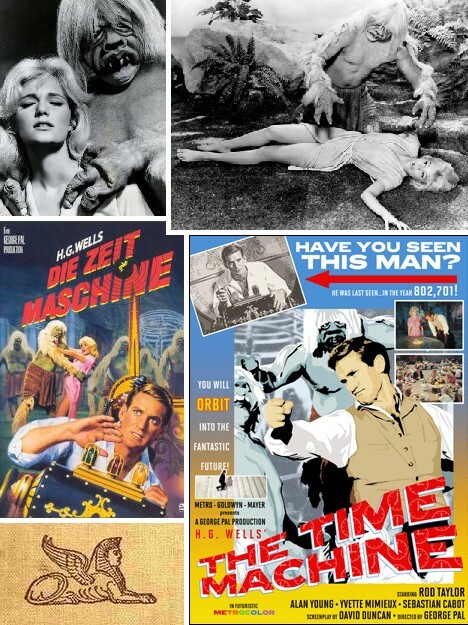 Ranking with The Time Machine as an early sci-fi blockbuster is The War Of The Worlds, in which invaders from Mars nearly triumph over humanity, only to be defeated by humble bacteria – or Slim Whitman’s music, if you’ve got your Mars movies mixed up. 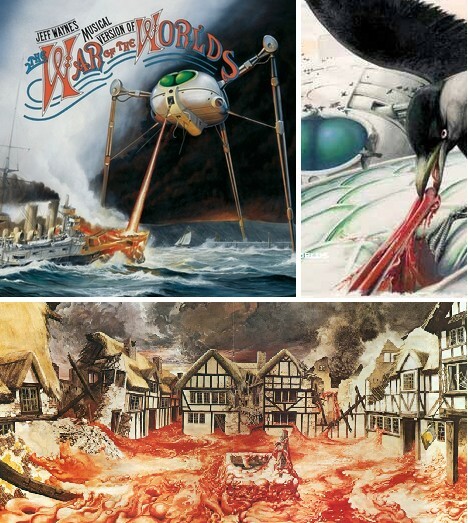 One of the best treatments of Wells’ masterpiece is Jeff Wayne’s Musical Version of The War of the Worlds, issued as a double LP record in 1978 accompanied by staggeringly bleak artwork by Peter Goodfellow, Geoff Taylor and Michael Trim. 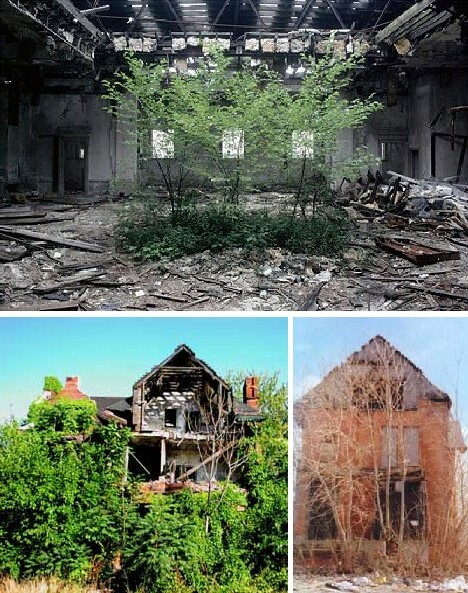 Some say the world will end not with a bang, but with a whimper… a slow slump into decay and decomposition. 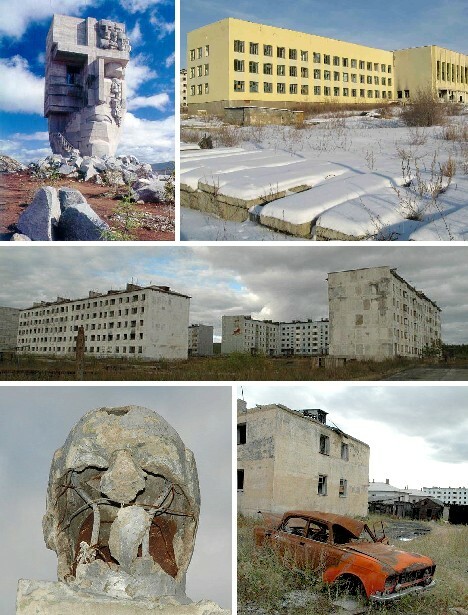 Witness the process in action by visiting the abandoned Russian city of Kadykchan. A Siberian tin-mining town that boasted a population of 5,794 as recently as 1989, Kadykchan has less than 300 inhabitants today. Above is a view of Kadykchan in its prime, taken from – seriously – the city’s official website. It’s not only in Russia that parts of our modern world are slipping away into chaos and catastrophe – it’s happening right in our own backyard. 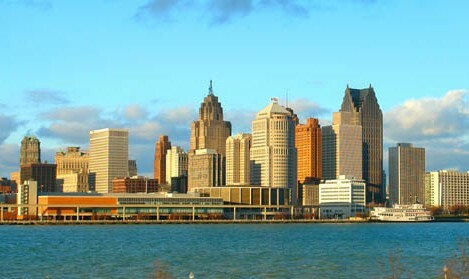 Detroit, Michigan… built by American dreamers, its skyline reflects a scene of beauty from afar. Closer in, however, jarring details uncover the urban ruin festering within. Yet all is not gloom and doom. Left to its own devices free from human interference, nature will take back what was once hers and against all odds, a tree spreads its branches in the concrete forest. Lori Nix delights in recreating Landscapes of a World-Gone-Wrong. Explains Nix, somewhat chillingly, “A panoramic cityscape comes alive only when you notice a person leaping to her demise from the bridge. 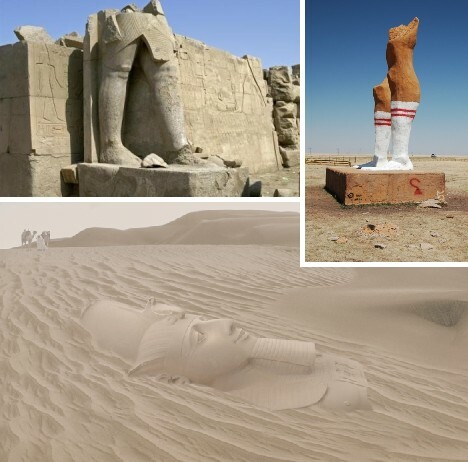 My photographs serve as evidence to the viewer, of the consequences of a world gone wrong.” In Nix’s universe, the world definitely ends with a bang. 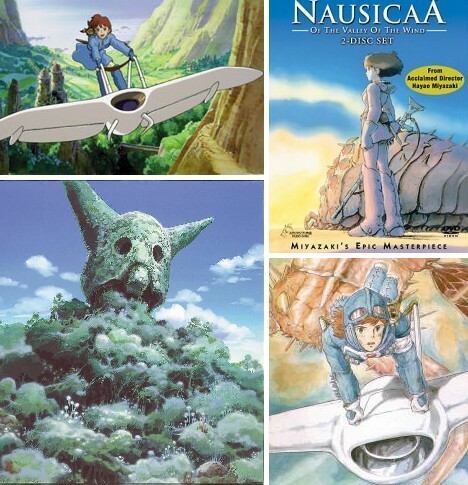 Nausicaä of the Valley of the Wind is a Japanese animated film by Hayao Miyazaki dating from 1984 whose success led to the founding of Studio Ghibli. he setting of the film is a post-apocalyptic world 1,000 years from now in which pockets of society struggle for existence amid a toxic “Sea Of Decay” made of deadly fungi and populated by giant insects. 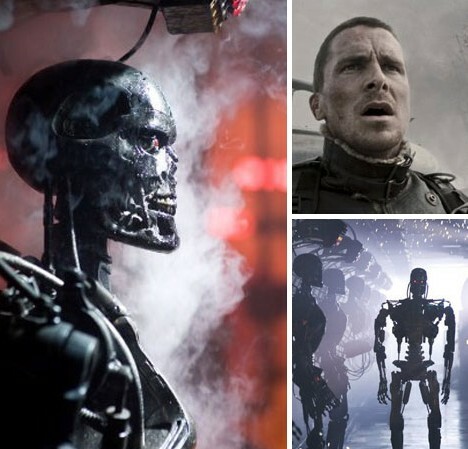 Terminator Salvation is the most recent entry in the popular post-apocalyptic film franchise. Set in the year 2018, it paints a bleak future that’s a lot closer than one might think – and not only chronologically. 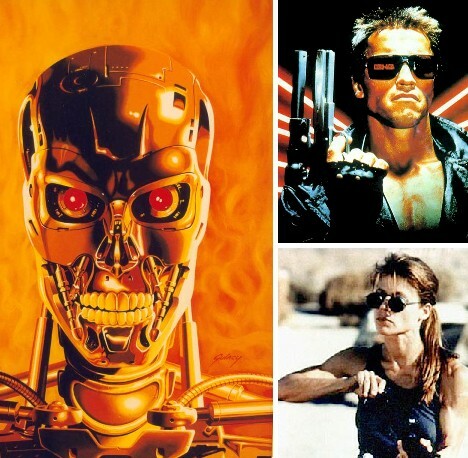 For many fans, however, there’s nothing like the original Terminator from 1984 – a great year for post-apocalyptic movies, not to mention novels. 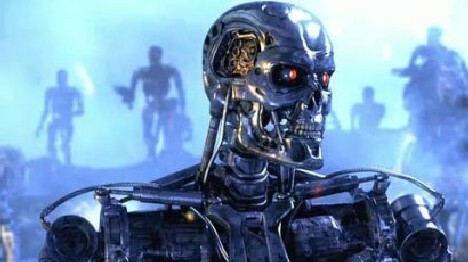 Played with uncharacteristic understatement by current California governor Arnold Schwarzenegger, Terminator introduces us to an all-too-plausible future world in which intelligent, deadly, self-replicating machines have turned on their creators. Old & busted (literally): The Ten Commandments. New hotness: The Georgia Guidestones. 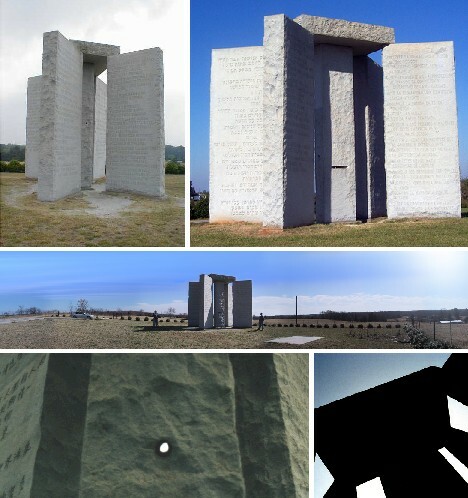 Mysterious yet monumental, this huge (240,000 pound) granite structure situated in Elbert County, Georgia, has been likened to an American Stonhenge. Six granite slabs comprise the monument which stands almost 20 feet tall at its highest point. One slab has a small hole drilled through it so properly positioned viewers can see the North Star. The slabs bear ten advisory messages to, presumably, survivors of some apocalyptic future holocaust such as “Maintain humanity under 500,000,000 in perpetual balance with nature” and “Guide reproduction wisely – improving fitness and diversity”. The messages are inscribed in 8 modern languages including, in clockwise order: English, Spanish, Swahili, Hindi, Hebrew, Arabic, Chinese and Russian. 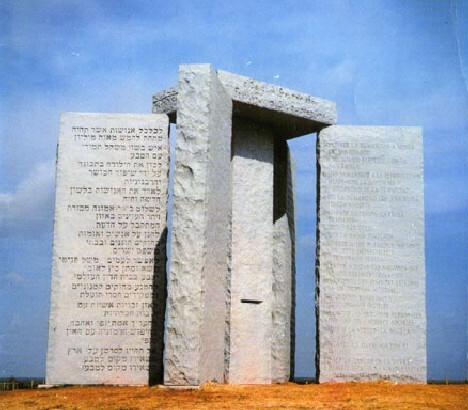 Who commissioned the Georgia Guidestones and for what purpose? No one can say – the contractor, Elberton Granite Finishing Company, was hired in June of 1979 by someone calling themselves R. C. Christian.